SynCore is cooperating with Y-YBar, an optical instruments company in Switzerland, to develop and improve the Laser Doppler choroidal blood flowmetry, FloM-S.
FloM-S measures choroidal blood flow, by detecting the Doppler shifts of the light signals scattered from the moving red blood cells. 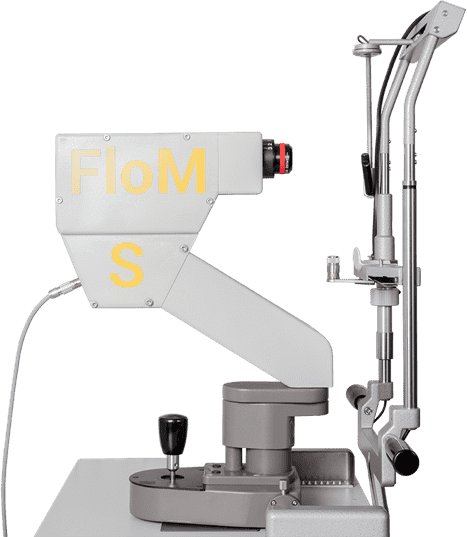 The measurement of the flowmetry is fast, objective and reliable, and can be used in early-detection of many eye diseases. Cooperate with NTHU-SynCore AMD Reasearch Center to conduct clinical trials.